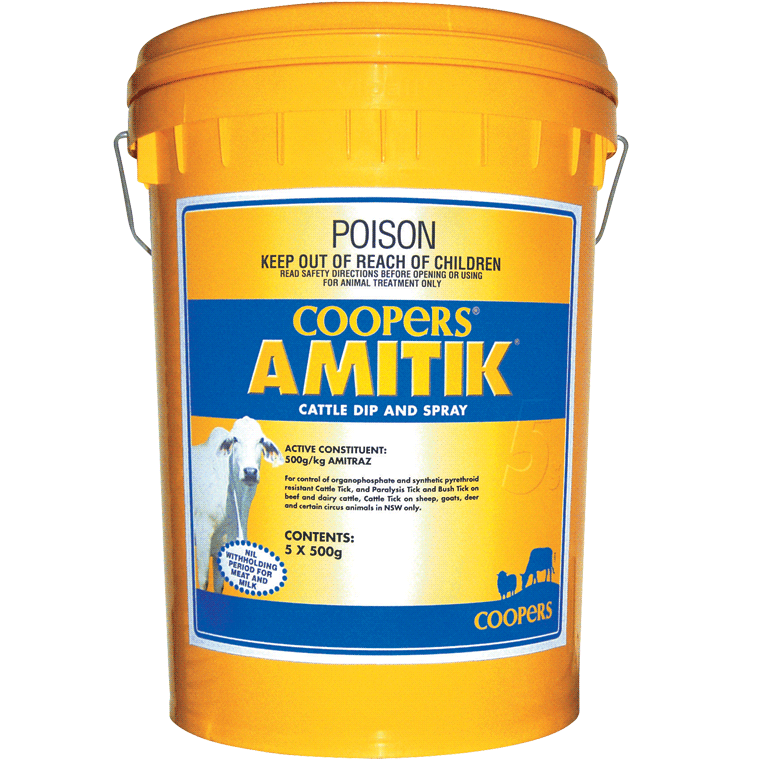 Controls organophosphate and synthetic pyrethroid resistant Cattle Tick (Boophilus microplus), Paralysis Tick (Ixodes holocyclus) and Bush Tick (Haemaphysalis longicornis) in Beef and Dairy Cattle, in an easy to use liquid formulation. Also controls Cattle Tick on sheep,goats, deer and certain circus animals in NSW only and Mange in pigs. 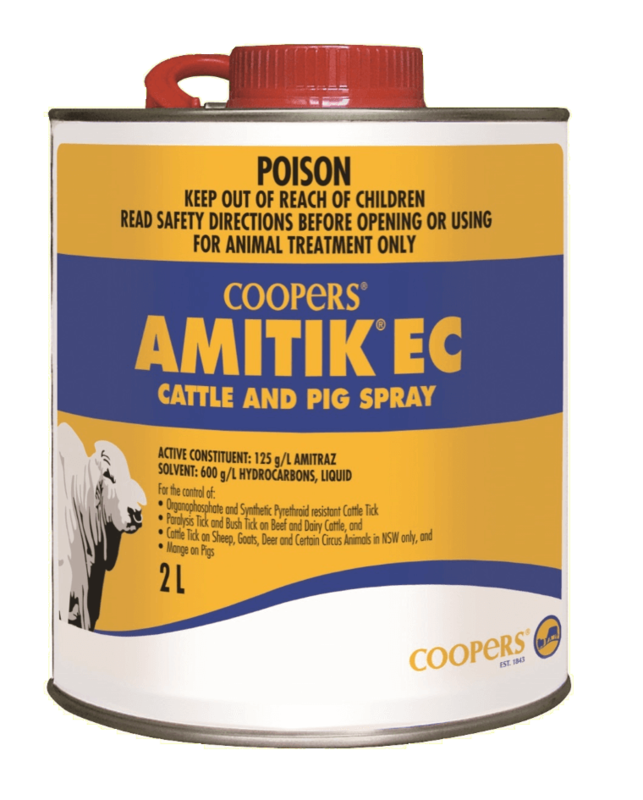 Controls organophosphate and synthetic pyrethroid resistant Cattle Tick (Boophilus microplus), Paralysis Tick (Ixodes holocyclus) and Bush Tick (Haemaphysalis longicornis) in Beef and Dairy Cattle, in a easy to use liquid formulation. Also controls Cattle Tick on sheep,goats, deer and certain circus animals in NSW. For the control of Temephos susceptible Body Lice (Bovicola ovis), including synthetic pyrethroid resistant strains. 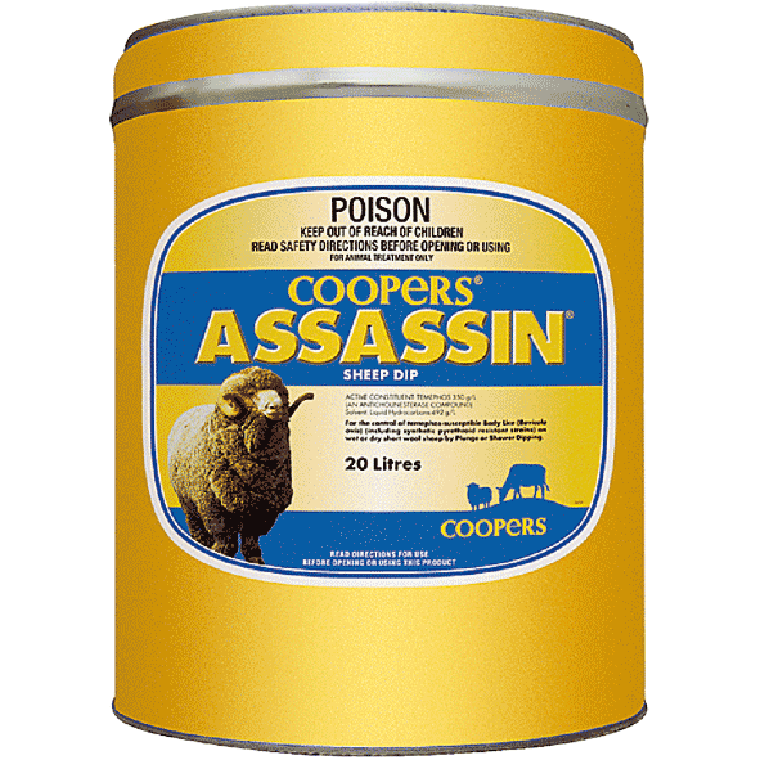 For use on wet or dry sheep (14-42 days after shearing) by plunge or shower dipping. For the control of all chlorinated hydrocarbon, organophosphate and amidine resistant strains of cattle tick (Boophilus microplus) (including DDT, Mt. Alford, Biarra, Mackay, Ridgelands and Ulam strains). Control of buffalo fly (Haematobia irritans exigua) infestation for up to 21 days. 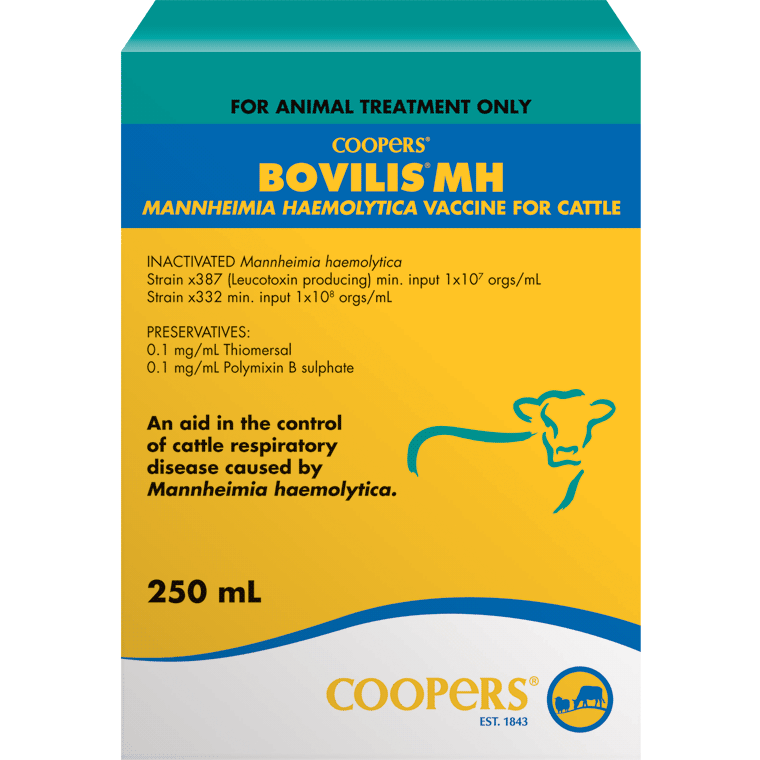 Also controls New Zealand Bush Tick (Haemaphysalis longicornis), Paralysis Tick (Ixodes holocyclus) and Lice (Linognathus vituli, Bovicola bovis, Haematopinus eurysternus) on cattle. Controls the above ticks and buffalo fly on Horses, Deer, Goats and working dogs.